As autumn begins and air temperature gradually goes down, SIA Rīgas namu pārvaldnieks also makes preparations to ensure heating can flow to all of the buildings under its supervision without problems, the company promises. On Monday, 1 October, heating will be supplied to the first six of RNP managed apartment buildings. Currently the option to request heating is open for apartment buildings whose residents have covered their heating bills for the previous season. «It is usual for air temperature to become low around mid-October. This is when RNP starts providing heating to its apartment buildings. With that, RNP will continue opening up heating lines based on authorized requests in the first week of October. We would like to inform people that apartment owners’ communities or their authorized representative can decide on requesting heating to be provided on a specific date, before the planned commencement of the heating season. Requests can be submitted to any RNP Customer Service Centre, or be sent by post. Document templates and details of the decision-making process can be found on RNP’s website (www.rnparvaldnieks.lv),» RNP explains. 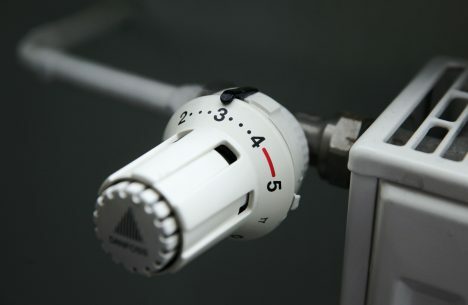 The majority of apartment buildings’ heating systems work using automated heating node settings. This means heating systems of every house are regulated automatically, based on the temperature of air outside. Once the heating season begins, it is necessary to keep in mind that buildings require time to heat up, the company explains. If residents have doubts about the functionality of the system or suspect its malfunction, RNP asks them to contact the company and explain the problem over the phone to PS Siltumserviss Riga (80000610) or RNP (8900).